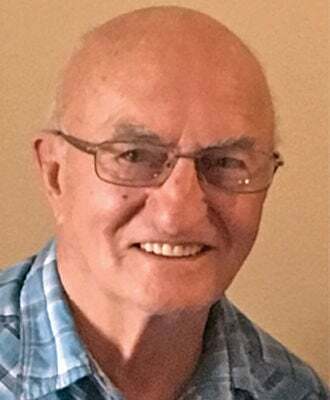 Mike Dean Haluzak, 85, formerly of Wilton, passed away Jan. 9, 2019, in The Legacy Living Center in Gillette, Wyo. We are honoring Mike’s wishes to be cremated and no services to be held. Mike was born in Wilton on Nov. 24, 1933, to Sam and Ann Haluzak. He was raised on the family farm and graduated from Wilton Public School in 1951. Mike married Murriel Krush on June 23, 1954. They had three children Deborah, Roger and Connie. Mike was always proud of the jobs he held including Farmers Union, Wilton, Bismarck Contracting, a division of Clairmont Construction, Bismarck, and Phillips Welding, Gillette. He worked construction until his retirement. He married Helen Armstrong, and they were married until the time of her death in 2008. He moved to Gillette and lived with his son and daughter-in-law until he entered The Legacy Living Center memory care section. He enjoyed being active. He was always walking or riding his bike. In his younger years, he enjoyed riding his motorcycle and broncs in rodeos. He also enjoyed fishing and golf. He is survived by his son, Roger (Colette) Haluzak, Gillette; daughter, Connie Haluzak, Wilton; son-in-law, Bob Schuler, Wilton; five grandchildren; 10 great-grandchildren; and his sister, Eva Braun, Wilton. He is preceded in death by his daughter, Deborah Schuler; his first wife, Murriel Krush; his brother, John Haluzak; and his parents.